Earlier this week there were rumors Jamie Foxx had been distancing himself from rumored longtime girlfriend, Katie Holmes, just months after finally going public with their romance [click here if you missed that]. Tuesday night Katie Holmes was spotted on the red carpet for the PRIVE REVAUX's flagship store launch in New York. 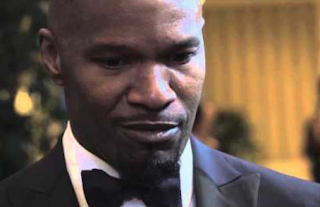 Jamie Foxx is the face of the brand. The couple was not photographed together and Katie appears to have cut her hair drastically short. Something is not right about Jamie Foxx....hmmmm wish I knew. Lol @ 11:13a.